The Mathesis of Julius Firmicus Maternus is a large and influential astrological work written in Latin in the early 4th century. 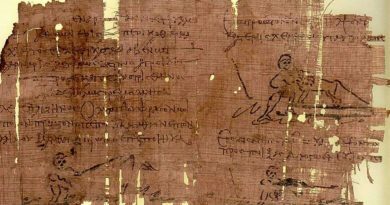 It is one of the longest and most important texts in the Hellenistic tradition. 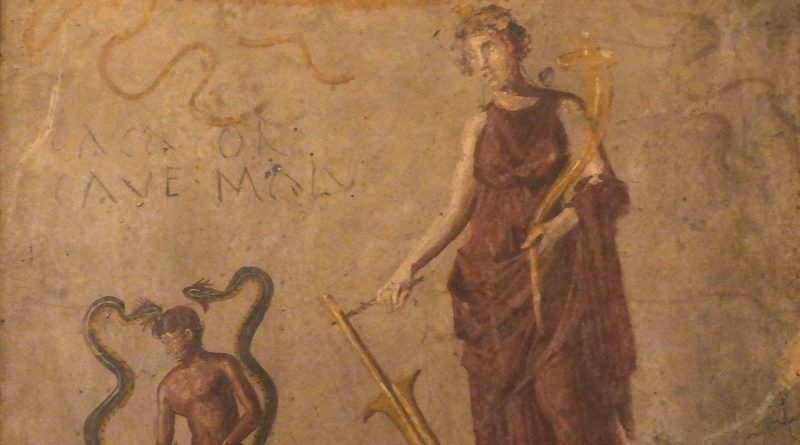 The four most notable long texts of the Hellenistic tradition that were written prior to 400 CE, are, in my opinion, this Mathesis, the Anthology of Vettius Valens (2nd century), the Tetrabiblos of Ptolemy (2nd century), and the shorter Introduction by Paulus Alexandrinus (4th century). 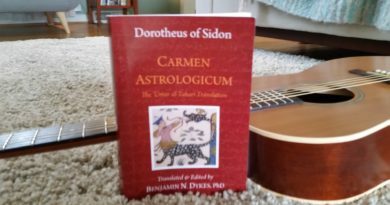 The translation released this year by James Herschel Holden, marks the first translation by an astrologer who is well versed in ancient astrology. Unfortunately, my copy of the text has not yet arrived so this article will not be a review. As I await my copy of the new translation, I’d like to discuss what makes the Mathesis important. One of the great things about the Mathesis is that there are countless examples of sect in action. Numerous interpretations of planets in houses are given, and we see the sect principle illustrated in nearly all of them, as even a malefic planet in sect in a house is judged able to produce some good there, while even a benefic planet out of sect is accompanied by some problems or instability. 18. Saturn in the ninth house will make famous magicians, renowned philosophers, or temple priests noted for their reputation for magic. According to the nature of the signs he also makes seers, diviners, and astrologers. These are always outstanding in their responses. Some carry on the rites of tempIes or are in charge of rituals. Sometimes they become long-haired philosophers or interpreters of dreams. 19. Saturn in this house by night indicates wrath of the gods and hatred of emperors, especially if the waning Moon is moving toward him in any way. But greater evils are predicted from gods and emperors if Mars from any direction is in aspect to Saturn and the Moon. The Mathesis is a book of natal delineation with a few timing techniques thrown in for good measure. This means that you get a cookbook approach at times. The cookbooks shouldn’t be taken literally as a pronouncement of the gods. Rather they are used to gather illustrations of broad principles that will allow you to make more accurate judgments in your chart work. Maternus himself says as much near the end of the fifth book. The topics of the 8 books are discussed in the following sections. Maternus given his reasons as to why astrology is important and how it is useful. A presentation of the signs, houses, aspects, and other basics. A few more advanced fundamentals are discussed. Next, there is a cookbook-style delineations given for each planet in each place by day and night. Also, delineations are given for Mercury with each other planet in each place, and the Moon in the sign of the Lot of Fortune applying to each planet. This book includes in depth delineation of possibilities with the Moon, including its regards, applications, and separations in a natal chart. There are also sections on the Lots of Fortune and Spirit, the chart ruler, length-of-life, profession, and different degree types (full and empty, masculine and feminine). The book ends with additional Moon considerations. This book includes delineation of the different signs in each place and the delineation of the planets in the terms of each planet by day and night. Maternus concludes with some advice as to consider the whole picture and not just make pronouncements based on single factors such as a single planet in a sign. This book contains some additional material on places. It also has some delineation of fixed stars. However, this book is primarily a lengthy set of delineations on planetary aspects or regards. Maternus includes complex aspect situations. There is also some predictive material on each planet as chronocrator (lord of the time). At the end of Book 6, Maternus noted that this Book 7 would present the more complete picture of astrological practice. This is a book on delineating special topics, such as birth condition, deformation, slavery, illness, family, marriage, sexuality, children, power/fame, occupation, and so forth. Much of this book is commentary on various special degrees, constellations, and other things of note to Firmicus. 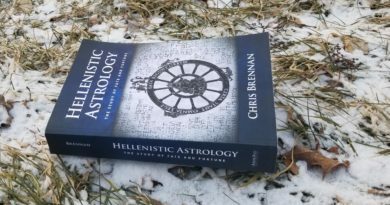 Many have hoped for a new translation of the Mathesis by someone well-versed in ancient astrology. The earlier 1975 translation by Jean Rhys Bram had some confusing passages and possible mistranslations. Finally, James Holden, an astrologer specializing in ancient astrology and translation, has produced this new, sought-after, 620 page translation.